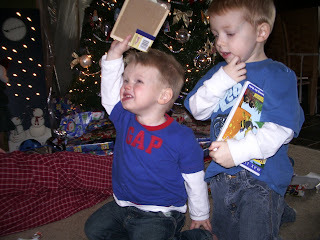 This year, Christmas at the Merritt house lasted a few days. We got a wonderful gift of a brand new niece on the 22nd! 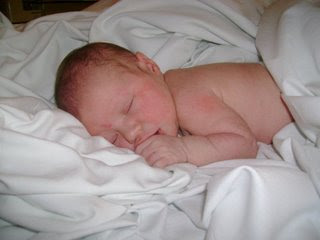 Roger and Aimee (my brother and sister-in-law) welcomed Olivia Ann at around 11:30 p.m.--our first Christmas blessing! She is so precious--you have to check out some pics on their website if you have a minute! 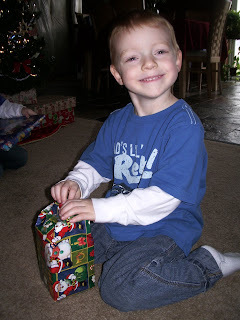 For our family, we began letting the boys open small presents from their stockings a couple of nights before Christmas...and then Christmas Eve day, they got to open several 'under the tree' presents, as Colin was calling them. With lots of grandparents and extended family (plus Mommy and Daddy) giving them presents this year, we had enough to open on both days! Anticipation of what was inside of those beautifully wrapped presents was just eating away at Colin! 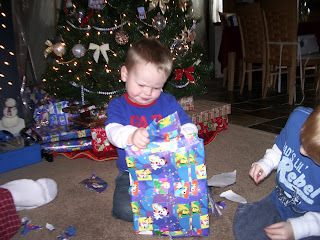 He was so excited when we said he could finally open some! 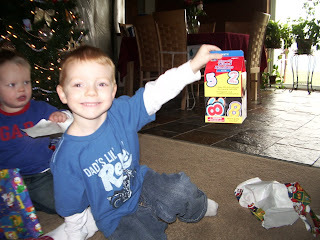 Magnetic Numbers for the Fridge--thanks Grandpa Danny and Amy! 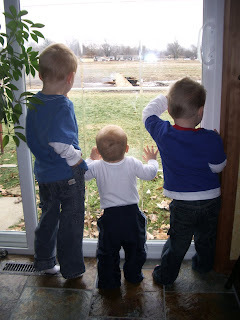 Daddy decided to do a little pre-Christmas cleanup....here are the boys watching him out the back slider door. (He was burning some stuff, and they love to watch that--they are pyros like their mom!) I just thought this one was so cute with all three of them standing there! That evening, we all got ready and headed out to our church for our annual Christmas Eve Service and Cantata. 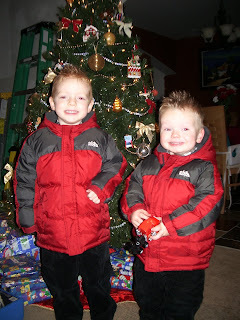 Here are the boys just before we left to go, in front of our tree--looking so handsome if I may say so! 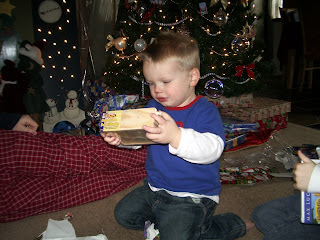 We had a really wonderful Christmas Day this year--lots of pics still to come!